Lance Corporal Momonakaya was awarded £500,000 ($1.38million) in compensation from the Ministry of Defence for having to play the role of Taliban terrorist in an Army training video. 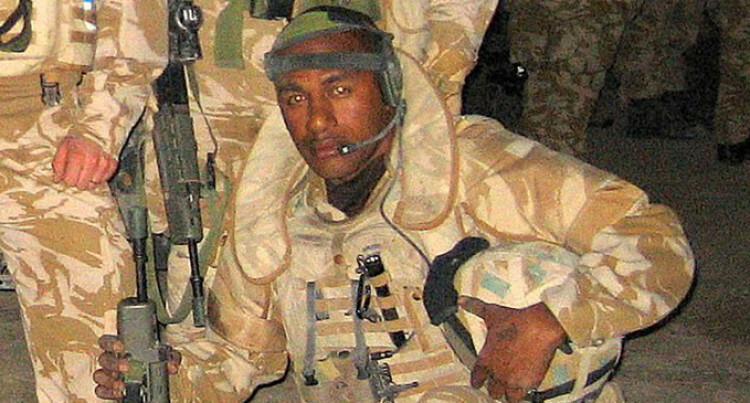 A payout – believed to be a record for racial discrimination in the United Kingdom’s Armed Forces – has been won after a six-year legal battle by Lance Corporal Inoke Momonakaya, a Fijian soldier who served in Iraq and Afghanistan. Lance Corporal Momonakaya was awarded £500,000 ($1.38million) in compensation from the Ministry of Defence for having to play the role of Taliban terrorist in an Army training video. SODELPA’S nominee for the position of the speaker should not count her lucky stars just yet. One more sleep before her gracious defeat! I guess BTL will know soon enough. Boxers at a weekend boxing event in Nadi were forced to fight without their shoes on because of slippery canvas, which officials attributed to the hot weather. The irony of it was not lost on the fans, who demanded a refund after the main bout was called off in the sixth round. The ‘only in Fiji’ moment was the sole highlight at the event.